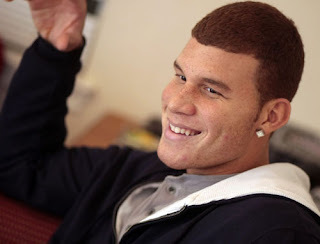 Check out Blake Griffin's pre-game workout. This is before this week's Spurs-Clippers game. This video is hilarious...even to him. It's definitely a viral piece of art. Do you think they'll approach him now to be an product endorser? Don't be surprised if they do and we report it when it happens.